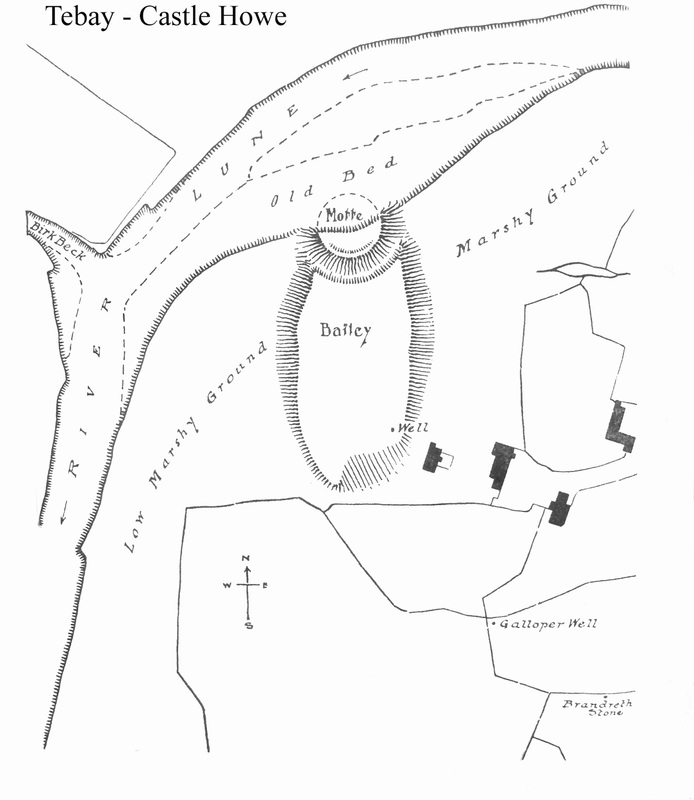 Motte and bailey castles in the Northwest of England. 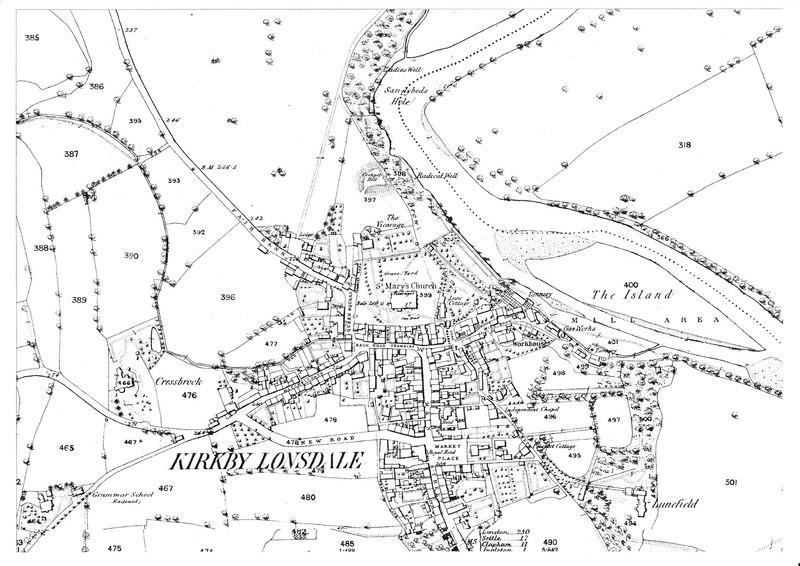 Mary Higham's short piece, "The Mottes of North Lancashire, Lonsdale and South Cumbria", from 1991, is an interesting read, and throws up a number of sites that have since been questioned. Above. Mary Higham's map of the North West showing mottes and castles. Above. The church of Holy Trinity at Millom. Both the church of Holy Trinity and the medieval castle at Millom are thought to sit on top of an original motte, thought to occupy the site before either church or castle were ever built. Whilst the view shown above clearly shows both church and castle within the confines of a shallow raised platform, it's not clear if there was a motte here before the building of either structures. 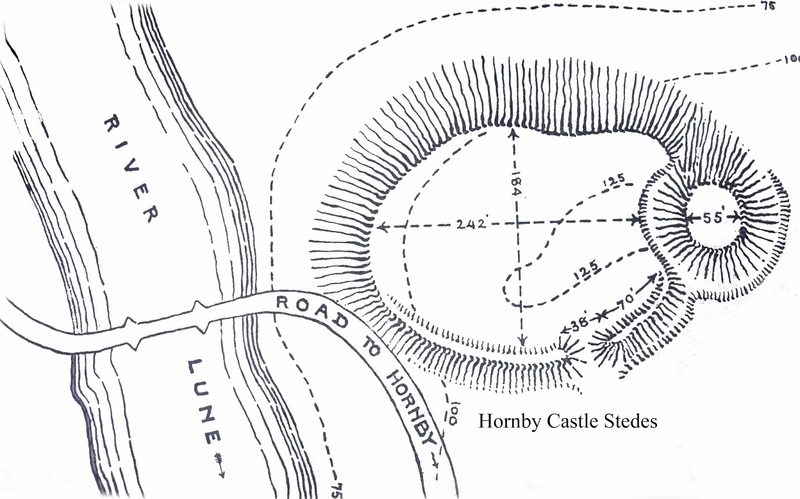 Indeed many castles in the area are reputed to have started off as motte and bailey castles....claims that in many cases are simply not substantiated with any historical evidence. In this instance, Mike Salter in his "The castles and tower houses of Cumbria" states that "the motte with a ditch to the East and South on which the castle stands, may go back to when Godard de Boyville was granted the manor in 1134". 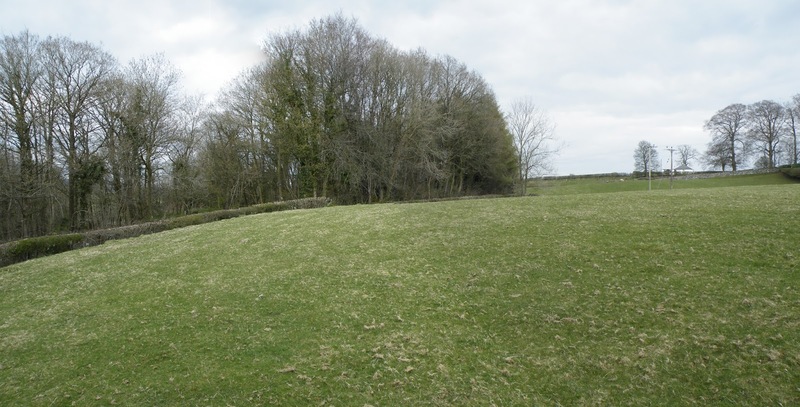 Castle Hill at Pennington was probably never actually a motte and bailey style castle, but rather a ring work, some would say a more primitive medieval fortification utilising banks and ditches as opposed to a motte and banks and ditches. The fortified enclosure is ideally situated for defence, making good use of the lie of the land here. To the West and the South, the site sits high above the surrounding countryside, with Pennington Beck providing another obstacle for any would be interlopers. Above. 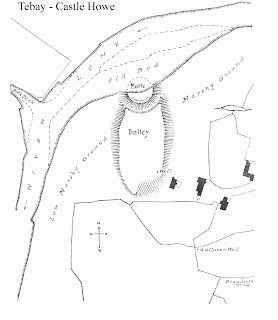 Sketch plan of Pennington Castle. 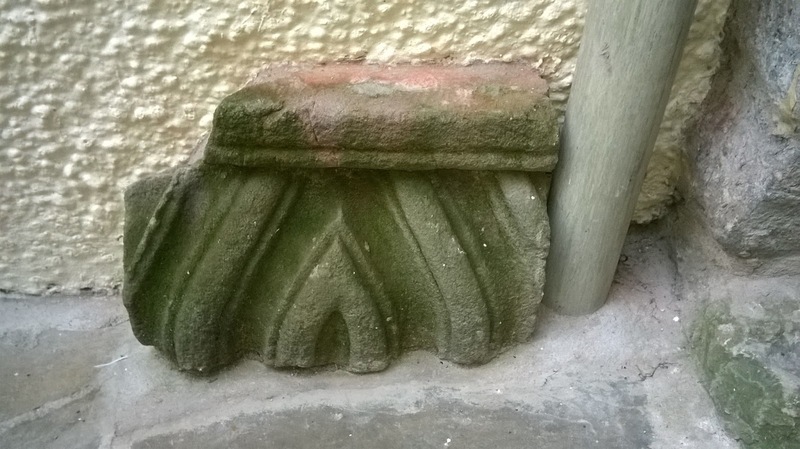 Traditionally held by the Penningtons up until around 1318, the family may have already moved to nearby Muncaster by 1242, later establishing a fortified site that later developed into the sprawling castle we see today. Above. Aldingham castle from a distance. Above. 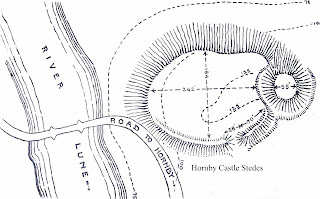 Sketch plan of Aldingham castle. Above. 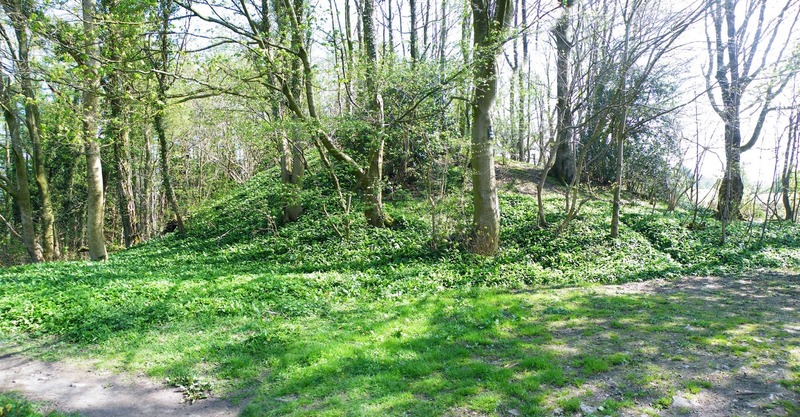 Bothelford motte, also known as Hawesbridge motte. 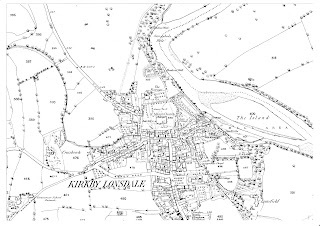 Castle Howe seems to be Kendal's sad and mostly forgotten castle. 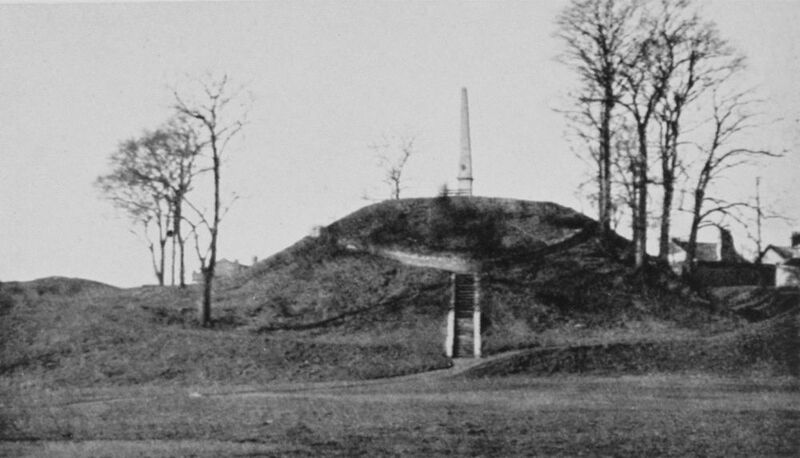 Probably built in the early 1090s, the remains of the motte still tower above Kendal sat below it in the river valley, though its bailey area has largely been destroyed and dug out. Some of the earthworks still remain at the North, South and West of the motte; ditches and banks can still be seen here. 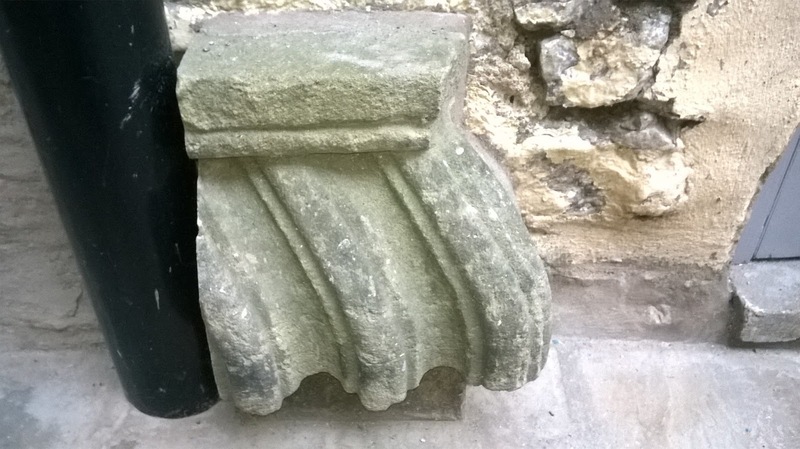 There are only a few old photos of Castle Howe in the public domain, a few of which I've managed to lay my hands on, and are shown here. Above. Castle Howe as it appears today. These days the castle is not really on the tourist trail. 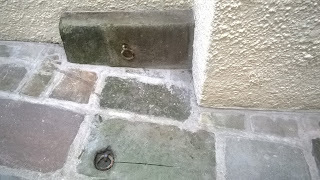 Any information boards that used to be here have long since been vandalised and removed or stolen. There are plans afoot though for this situation to be remedied. Kendal Civic Society and Kendal Town Council recently announced plans to clean the area up and to re-introduce information boards. 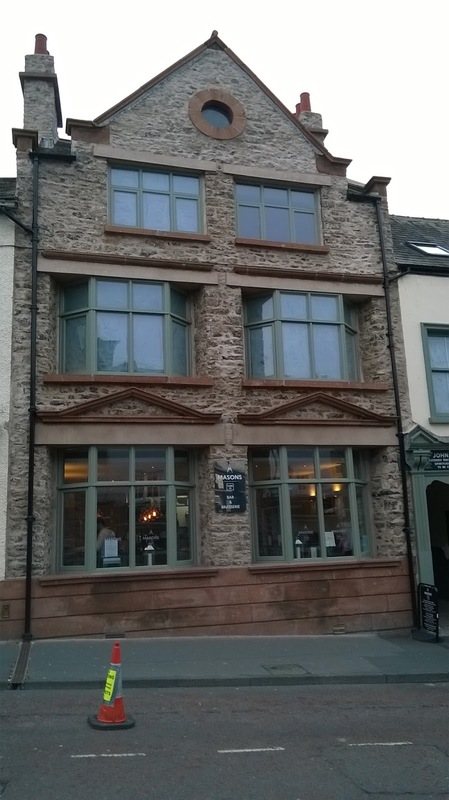 Perhaps we'll see more visitors to Kendal's first castle once again. Above. Old photo of Castle Howe. The photo shown above clearly shows that the tree cover has increased over the years. It's a shame that it's not this clear today. During the Spring and Summer months the tree cover is such that it's difficult to see the form and layout of the motte and its surrounding earthworks clearly. Above. Another photo showing the motte with little tree cover. Above. This must be a later photo - the tree cover has increased. Castle Howe is well worth a visit. 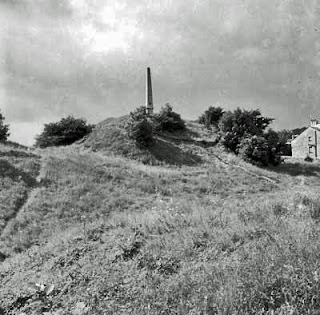 Don't just look at the front though, from the old bowling green....venture around the back of the motte and take in the ditches and banks....only here will you get a real idea of the immense size of this great Cumbrian motte and bailey castle. Ignore the litter and the mess that you'll find here...I know it may be difficult, but to fully take in the form of this 900 hundred year old castle, you just have to venture off the beaten track. As I come across any more old photos of Castle Howe, I'll post the photos here.